Thank you for visiting our parish website. Here you will be informed and inspired as you journey in your faith as a parishioner or as a visitor to our parish. You are welcome to visit our parish anytime and you are encouraged to check back to the website often for new information and details on current events. 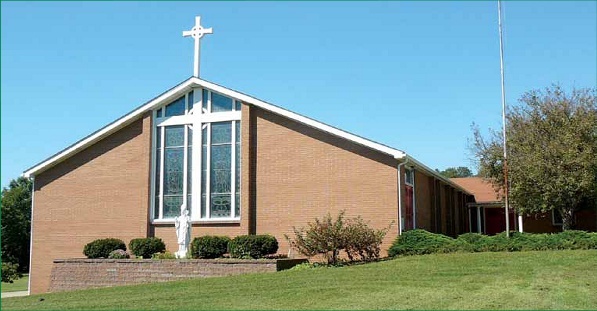 Since the early 1950s, our parish has served the people of Kinsman and the surrounding townships We are delighted to welcome you as the 21st Century generation of our parish family. Whether a member or visitor, you are welcome to become involved in our parish in whatever way the Lord is leading you. Together, we will labor and pray to build up the Kingdom of God in our world. Sanctuary Candle also. There are still dates available. LENTEN OBSERVANCES: Ash Wednesday and Good Friday are days of fast and abstinence -one full meal and two smaller meals for persons 18 thru 59 years of age; no meat for persons 14 years and older. All Fridays during Lent are days of abstinence -no meat for persons 14 years and older. There is no obligation to fast during the weekdays of Lent; however voluntary acts of self-denial are encouraged. STATIONS OF THE CROSS: Stations of the Cross will take place on Fridays during Lent at 6:30 p.m. and alternate between each church. Friday March 8 Stations will be at OLV; Friday March 15 at SP; Friday March 22 at OLV; Friday March 29 at SP; Friday April 5 at OLV; Friday March 12 at SP. Servants of Mary Center for Peace First Sat. Mass: Mass & breakfast on Every First Saturday 8:30 am. 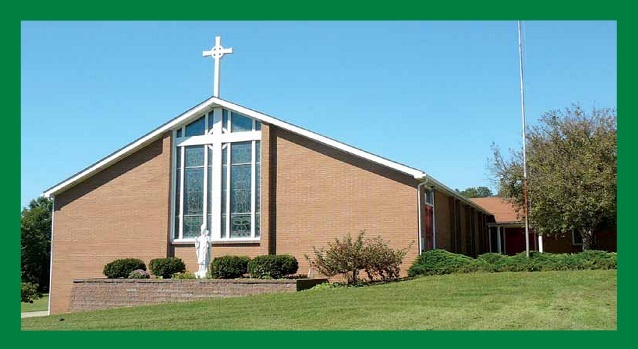 Tuesday April 16 - Chrism Mass at St. Columba, Youngstown, 10:30 a.m., (SP) Mass 6:30 p.m.
Wednesday April 17 - (OLV) Mass 8:30 a.m.
Holy Thursday April 18 - (SP) Mass of the Lord's Supper 7:00 p.m.
Good Friday April 19 - (SP) Passion Service 3:00 p.m.
(OLV) Passion Service 7:00 p.m.
Holy Saturday April 20 - (OLV) 9:00 a.m. Blessing of Easter Baskets, (SP) 9:30 a.m. Blessing of Easter Baskets, (SP) Easter Egg Hunt 11:00 a.m.
(SP) EASTER VIGIL MASS 8:00 P.M.